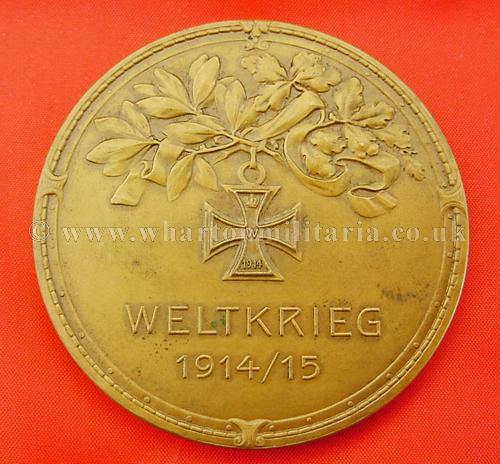 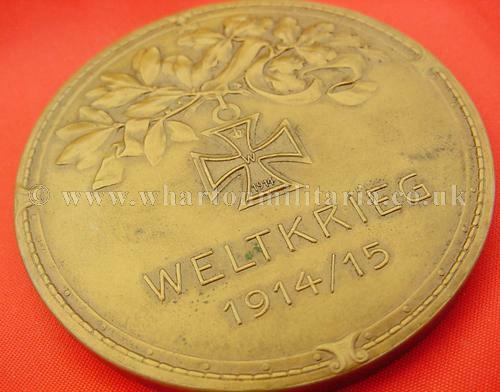 WW1 German Patriotic 1914-15 medal, approx size 60mm diameter, heavy bronze like metal, front face has image of the 1914 Iron Cross hanging from both laurel and oak leaves, under which is ‘Weltkrieg 1914/15’ whilst the reverse shows a dramatic battle scene of infantry charging the enemy lines, who look to be perhaps French from the helmet shapes, with a naked spear thrusting woman riding a horse above the battle. 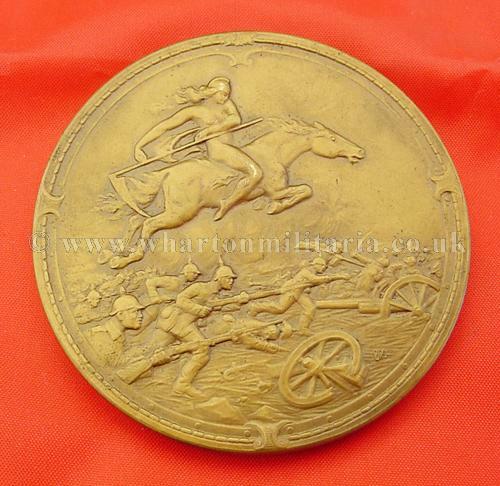 These very patriotic medals were produced in the early parts of WW1 to celebrate a serviceman’s time in the war. 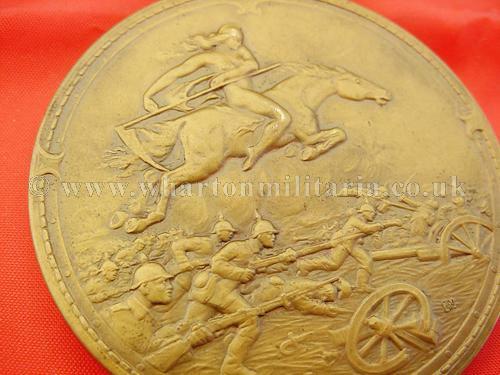 Patriotic medals are not easy to find and are in themselves works of art, battle scene has the artists initials 'BM'.